"To connect Krishna Conscious youth in North America and empower them to become leaders for the next generation." 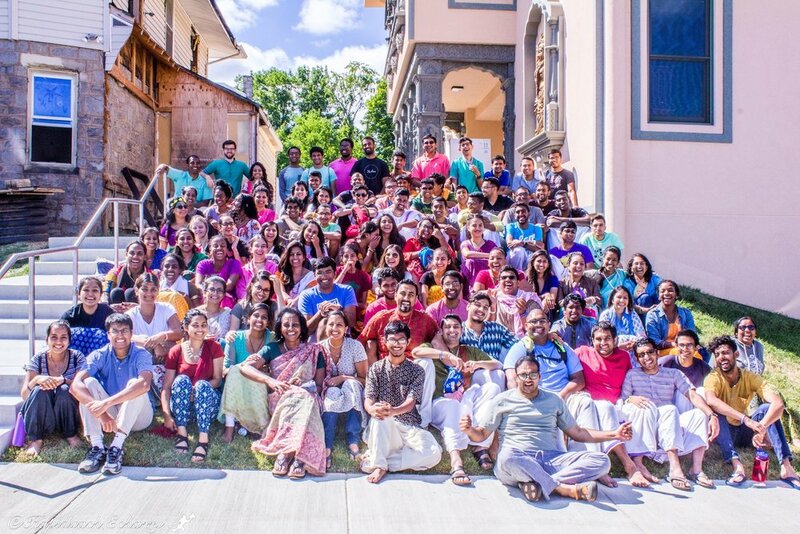 TSI (The Sanga Initiative) is a youth powered organization that operates across North America to create a network of young devotees that support and empower each other to become leaders for the next and future generations of ISKCON. Started in 2013 TSI strives to create the next generation of Devotees by bringing together the best and brightest minds through retreats, conferences and webinars in hopes of building a foundation of devotion which our community can build upon for years to come. Once a year TSI youth from across North America come together for a week of celebration, devotion and community. TSI Retreat's push attendees to not only build their Krishna Conscious Spirit, but also challenges them to apply their learnings to their day to day lives. Camp Ignite is the perfect blend of a fun and adventure for all campers! At our youth camp, each day is packed with water sports, crazy fun games, Krishna Conscious discussions, and so much more. The camp is open to ladies and gentlemen from the ages of 10 to 16. TSI hosts an annual retreat during the summer months that brings the entire Sanga Family together. We have group discussions, plenty of fun and games and a chance for us to take a spiritual step forward. The retreat is open to ladies and gentlemen ages 16 to 30.